The Southern Highland Craft Guild is an organization of craftsmen and women spread across nine Southeastern states in America and 293 countries around the world. Established in 1930, the guild represents nearly 900 craftspeople worldwide and aims to bring together the ancient crafts and culture of the Southern Highlands region for education and conservation purposes. The Guild was born during the Great Depression to cultivate commerce and income for craftspeople in the Appalachian region and continues its legacy today through the operation of crafts shops and two annual craft expositions. The Guild also presents some educational programs for both craftspeople and the public to promote and preserve the knowledge and appreciation of traditional and contemporary crafts of the Appalachian region. Educational programs play a vital role in the organization and include exhibitions and expos, displays and demonstrations, collections, gatherings, and free community events throughout the year. 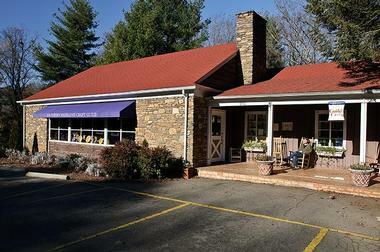 The Southern Highland Craft Guild is based in the Folk Art Center on east Asheville’s beautiful Blue Ridge Parkway. The Center showcases the finest traditional and contemporary crafts of the Southern Appalachians across three large galleries and is also home to bookstore with focus on Eastern National materials, a full-service library known as the Robert W. Gray Library, an information desk offering highlighting the Blue Ridge Parkway area , and an Allanstand Craft Shop. The Folk Center presents a variety of events throughout the year, including live daily craft demonstrations in the lobby of the center. The Folk Art Center features three galleries with several exhibitions, two of which are rotating and one permanent. The Main Gallery and the Focus Gallery present a range of rotating exhibitions from local and internationally renowned craftspeople throughout the year. The Permanent Collection Gallery exhibits approximately 250 works on permanent display that represents the historical crafts of southern Appalachia, including furniture, woodcarving, textiles, pottery, and other crafts, dating back to the mid-1800s. The Robert W. Gray Library is situated on the second floor of the Folk Art Center and consists of a collection of 20,000 volumes of books, exhibition catalogs, and periodical titles, as well as media and materials on the history and craft heritage of the Southern Appalachian region. 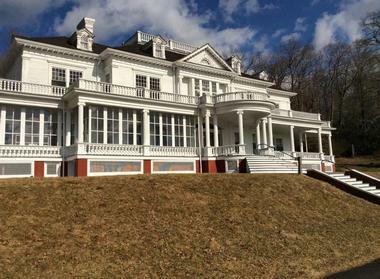 The library was established with the aim of collecting and preserving materials about traditional and contemporary works, particularly those of the Southern Appalachian region, as well as educating and inspiring the public to take an interest and appreciation in this unique genre of art. A recent addition to the library includes and an audiovisual section with over 100 craft-related videos and DVDs. The Southern Highland Craft Guild operates four retail stores where craftworks can be purchases, as well as the bi-annual Craft Fair of the Southern Highlands. The retail stores are located in Asheville and Blowing Rock and feature an extensive and exclusive range of handmade originals from Guild members. Established in 1897, the Allanstand Craft Shop is the oldest operating craft shop in the country. Founded by Presbyterian missionary Frances Goodrich, the shop features traditional and contemporary craft works from more than 200 members of the Guild across a range of media, including glass, paper, metal, wood, clay, fiber and natural materials. 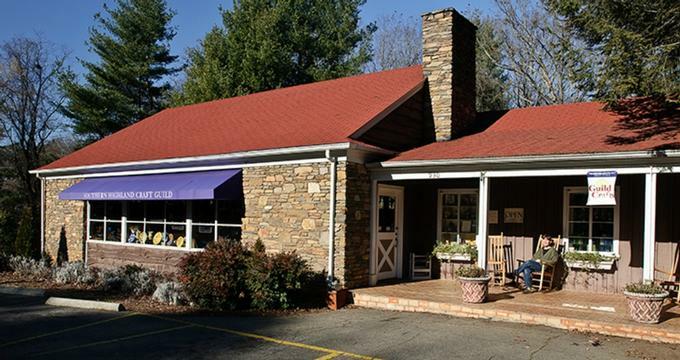 Built in 1955, the Guild Crafts shop is based in a pair of beautiful old stone houses, which stand as a symbol of the time-honored Southern Appalachian Mountain tradition of the craft they sell. Guild Crafts sells a range of beautiful handmade crafts including pieces made with pottery, glass, jewelry, ironwork, fiber and more. Based in the Biltmore Village in Asheville in an exquisite 1928 Georgian building, the Southern Highland Craft Gallery showcases a variety of traditional craftworks that highlight the rich craft heritage of the region and reflect the boundaries broken by craftspeople through the combination of age-old tradition and modern, innovative techniques. A wide range of work can be viewed and purchased in the gallery, including works in materials such as glass, metal, paper, and pottery, as well as mixed media, natural materials, and jewelry. The Parkway Craft Center is based in the Moses Cone Manor on the Blue Ridge Parkway and boasts an exciting combination of magnificent Georgian Revival architecture, spectacular views of Bass Lake and the surrounding mountains, and exclusive handmade crafts and unique accent pieces from over 300 Southern Appalachian craftspeople. Work on display in the Parkway Craft Center includes works in materials such as pottery, clay, wood, fiber, jewelry, leather and other natural materials.